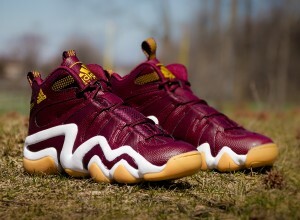 The Adidas Crazy 8 RGIII in classic Washington Redskins colorway is available NOW for only $88 with free shipping. Adidas.com has them on sale early. Cop the RG3 Crazy 8 here and use coupon em2061AD-100 at checkout to cop them for only $88 with free shipping.